Wear comfortable shoes and get ready to party all day long. 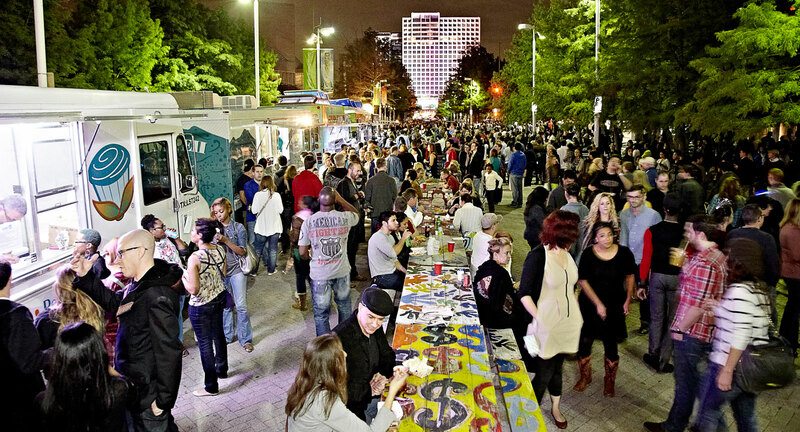 In celebration of Dallas Arts Month, the Dallas Arts District, the largest of its kind in the country, is closing down Flora Street on Saturday, April 22 for the Changing Perspectives Block Party! Stop by for a full day of fun activities for the whole family, complete with free admission and access to several museums, performing arts venues and restaurants. Let free transportation put you at ease! Hop on the McKinney Avenue Trolley at various locations around Dallas. 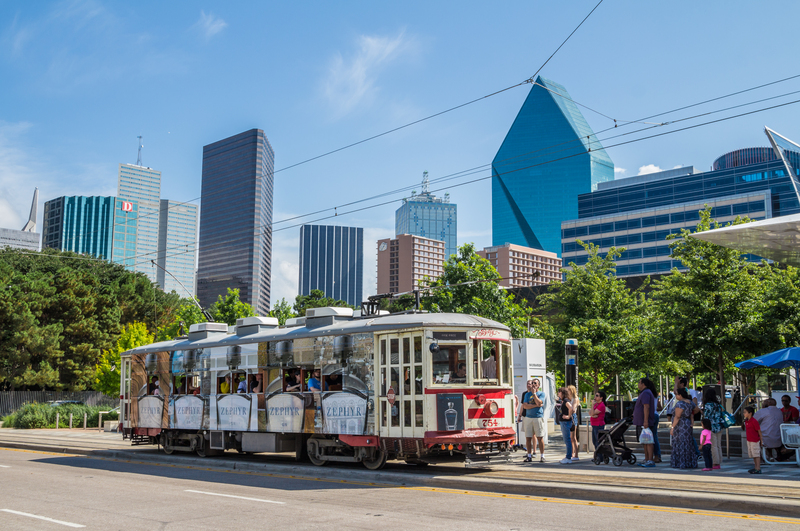 The trolley has a stop right in the heart of the Dallas Arts District, so you can get to the block party in no time. Check out the trolley route here and plan out your ride. Or take a ride on D-Link, a free bus shuttle courtesy of DART. D-Link has more than 20 stops on their route to get you everywhere you need to go. Arts and culture activities are a huge element of the block party. From live mural paintings to tumbling demonstrations to dance improv, there's a lot to see here. Don't miss incredible paintings in the street with Art Con, as well as dance performances by the Dallas Black Dance Theatre senior ensemble. Ever seen vertical dancing? Look no further! 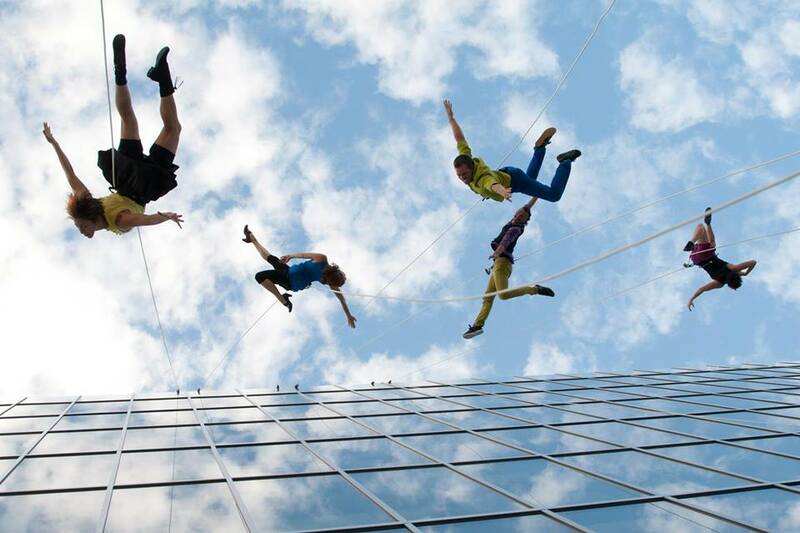 BANDALOOP: The Vertical Dance Company will make an appearance for three special performances throughout the day. It's unlike anything you've ever seen before, so don't miss it! Also, enjoy live music from Dallas native, ZHORA, who will rock the concert stage and keep you entertained. It's not a party without the food. Food trucks will line the streets with a variety of tasty treats that will please any appetite. Go for barbecue, pizza or Nammi, a Dallas Vietnamese food favorite. Top it off with a craft beer from Community Beer Company and you're set. The folks from the Dallas Arts District will be collecting art supplies at their booth as donations to Dallas ISD schools. Pencils, sketchbooks, coloring utensils, paint brushes and many more items will be accepted – so pick up your items before heading to the party!